Many of you know I am a huge fan of James Bogue and his work. He has a store on Etsy where he sells his exquisite creations http://www.etsy.com/shop/boguesvogues. I completely adore the styling and workmanship that goes into his designs. His creations never fail to inspire some of my favorite photos and this recent shoot was no exception. I received an especially frothy and pinkalicious ( yes it’s a word! LOL!) dress that I could not wait to photograph. Miss High Tea and Savories Silkstone had the pleasure of modeling the dress for the shoot. This entry was posted on April 1, 2011 by raberry65. 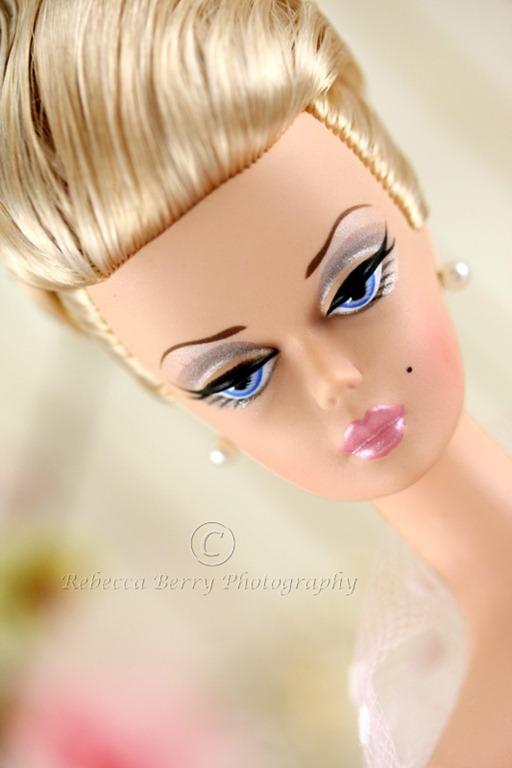 It was filed under Barbie, Silkstone and was tagged with 1/6 wall panel, BFMC Barbie, Bogue's Vogues, Doll Diorama, Doll Photography, High Tea and Savories Silkstone Barbie. A little compiment in french to keep up with the theme. Have a “Fabuleux” week end! Merci! J’aime toutes choses Rose 😉 Hope you have a wonderful weekend as well!